Hello Division 15! 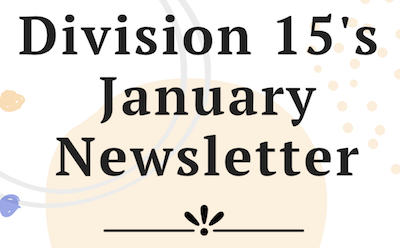 The January Newsletter is here. Please read for important information!